WHO: Rainer Werner Fassbinder wrote, directed, and acted in this. 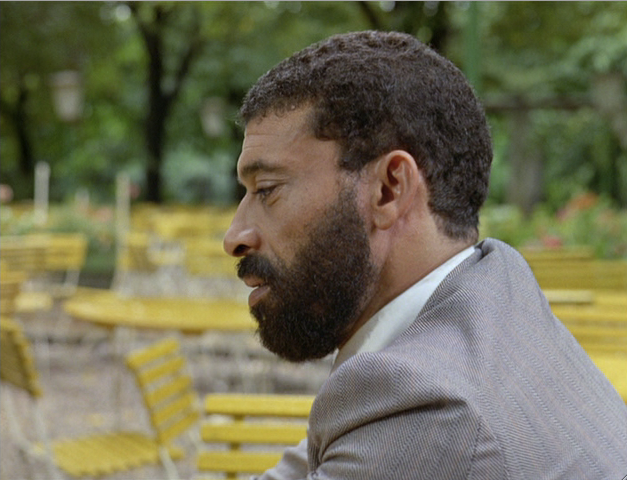 WHAT: Ed Gonzalez wrote a great review of Fassbinder's international breakthrough as part of a Slant Magazine focus on the director about ten years ago. WHERE/WHEN: Tonight at the Pacific Film Archive at 8:50, and Thursday, October 17th at Yerba Buena Center For The Arts at 7:30. WHY: Three Frisco Bay cinemas are running Fassbinder series this autumn, the first major local retrospective of the director's films in ten years. Two of the three begin their screenings tonight. The Roxie begins a week of 7 nightly Fassbinder screenings tonight with one of the director's late works Lola. Meanwhile the PFA in Berkeley screens Ali: Fear Eats the Soul as well as series namesake Love is Colder Than Death tonight to kick off that venue's 24-title series, complimented by a set of four of Fassbinder's favorite films by other directors starting November 1st. Brian, will Roxie be screening Fassbinder season in 35mm ? I remember I saw Fassbinder's World on a Wire" at Roxie last year, which was very poorly projected (badly lit, i think) compared to the 35mm projection of the same film at the PFA a few months earlier. I have no idea if the Roxie projected the film in 35mm or not though. If it was, perhaps no two projections are the same. Or I might have seen a digital screening, which might explain it -- but still surprised how badly it looked compared to the PFA projection. Yes, all three venues are using 35mm prints for these screenings. I was unable to attend the PFA or Roxie screenings of World On A Wire, but am told that those were both 35mm presentations. Instead I had to make do with seeing it digitally projected at the Kabuki. I have heard rumors that the Roxie was recently planning to replace its carbon arc 35mm projector with another model. There has in the past been an issue with the image going to black intermittently when screening certain 35mm prints. I presume this motivates the intention to bring in another projector. It's possible that this transition has occurred already (no such issue happened during their 35mm screening of Lady Cocoa this past Tuesday. Thanks, Brian - will go back to Roxie for the Fassbinders. Also, excited to see Nostalghia finally on 35mm - always had a good screening experience at YBCA. Yes their projection is usually very good.